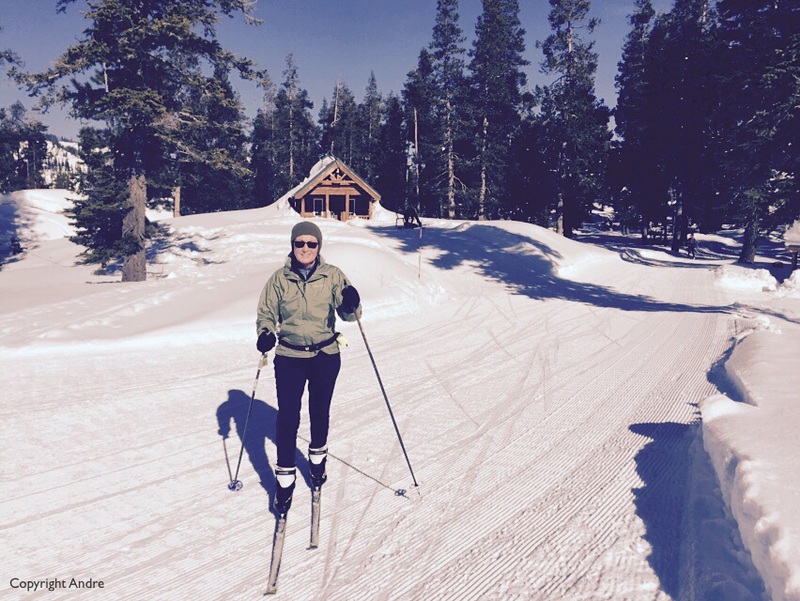 We were invited to spend a few days cross country skiing in north Lake Tahoe. 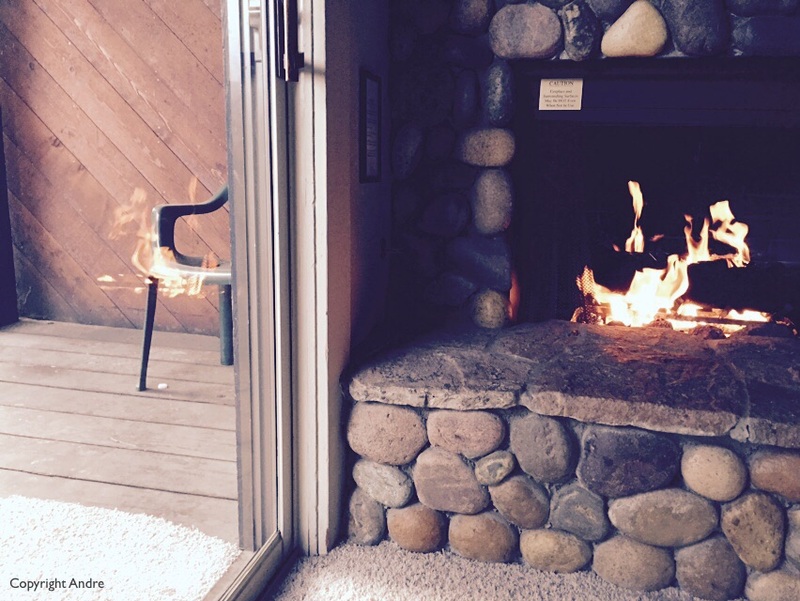 The condo came with a chair-on-fire on the deck as we warmed ourselves inside. First few days were snowy and overcast so the camera did not come out. 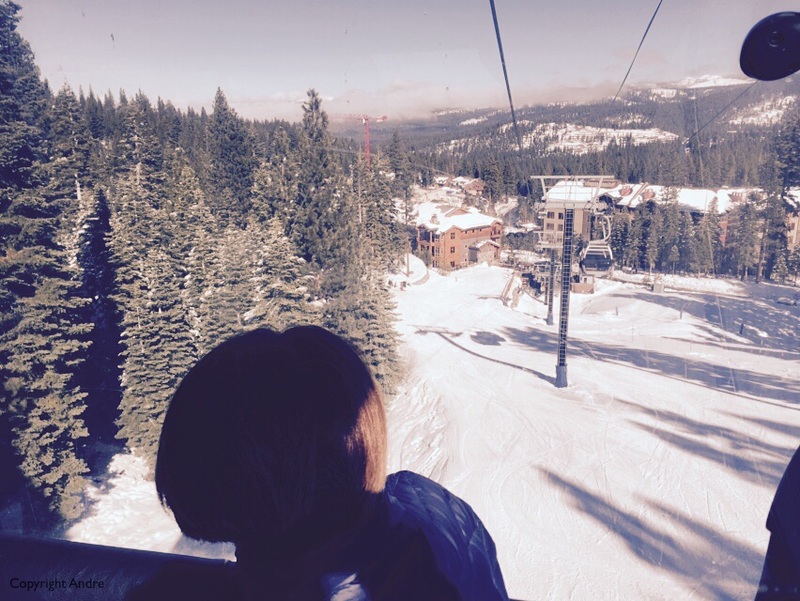 Then we took the free gondola up to the Ritz Carlton hotel in North Star to tour the property. Gondola up to the Ritz. Pool with ski slope in the background. Nice grounds with the outdoor heated pool. 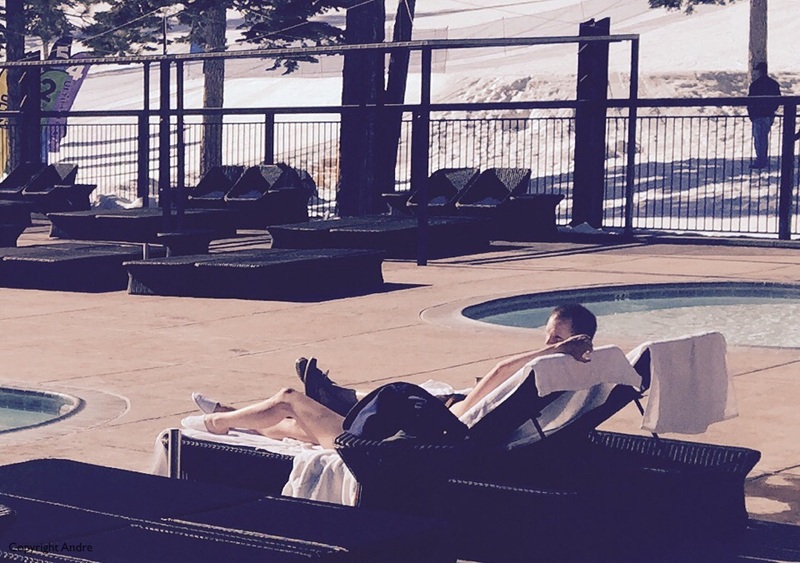 What caught my eye was the sole couple sunbathing in the brisk 40 F air. He had a gown on but she was intent on getting a suntan as you can see in the photo below. 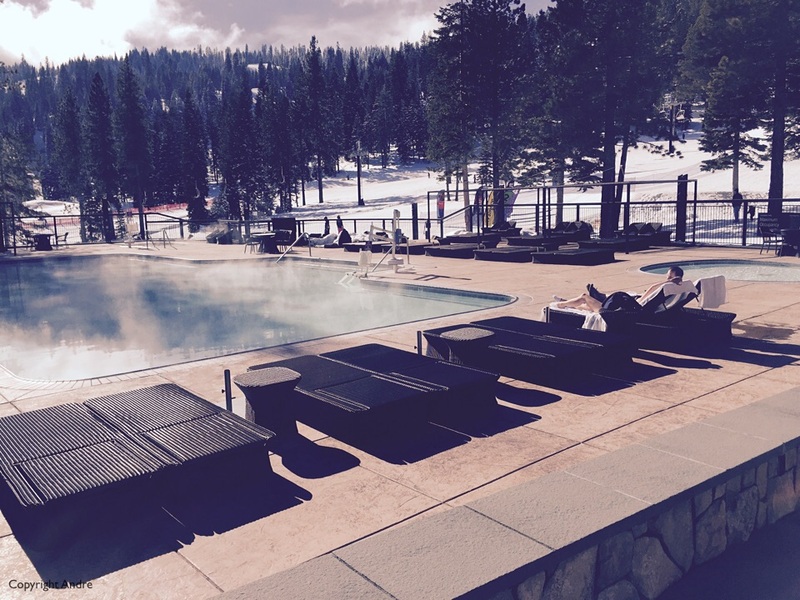 Sunbathing on the ski slopes? 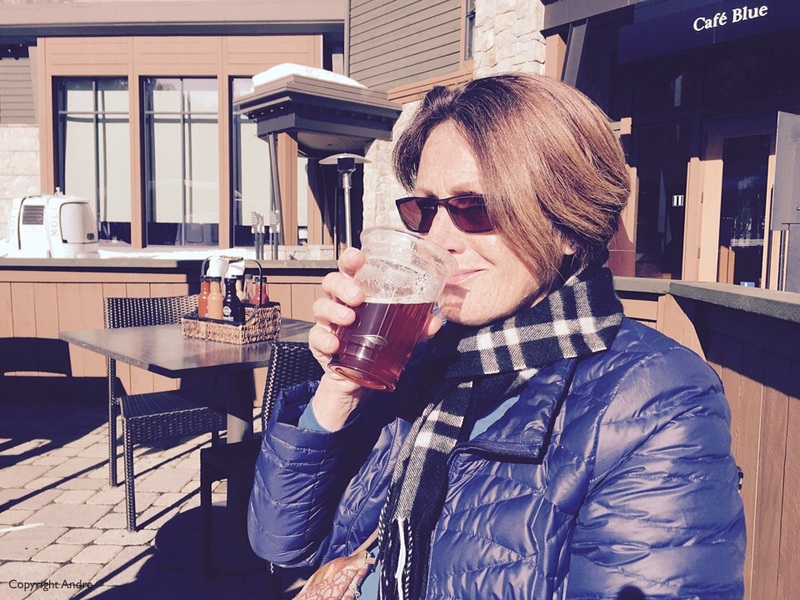 We settled for a beer and stayed warmly bundled up. One of our favorite cross county resorts is Royal Gorge near Norden off Hwy 80. The day we chose to go there was beautifully clear and the snow was crispy and nicely ploughed for our convenience. 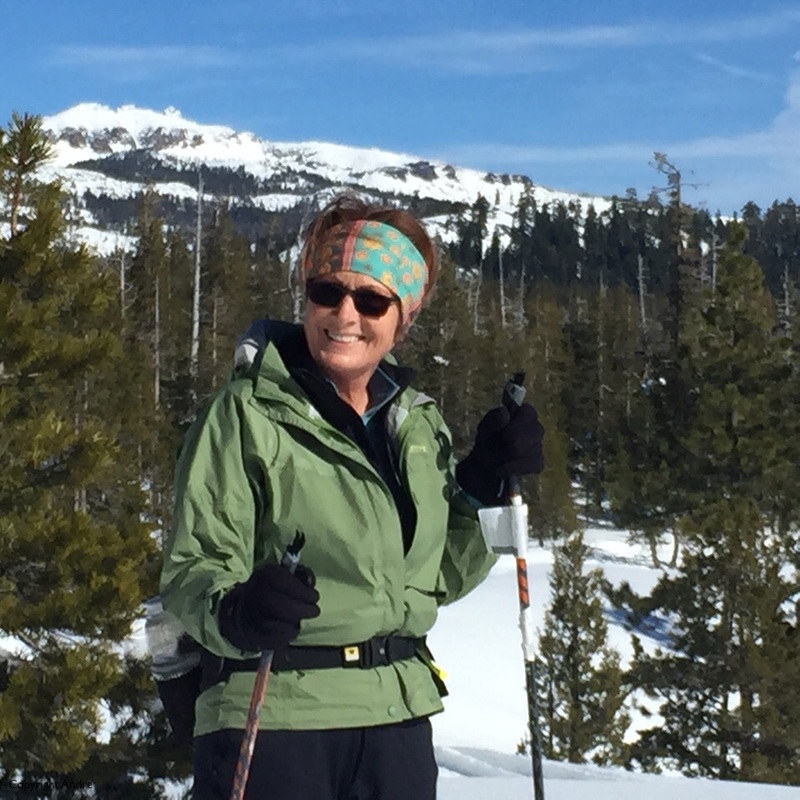 Skied out to the old Wilderness Hut location, then along Stagecoach from where we ventured out to Snow Mountain for a bit of backcounty scenery. Then up Castle Pass and back to the lodge. 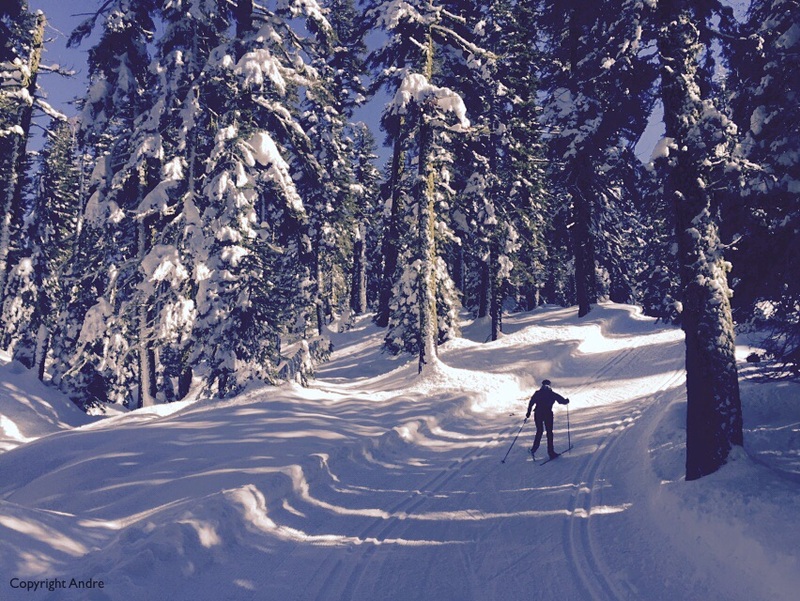 Leave a comment on Snow time!